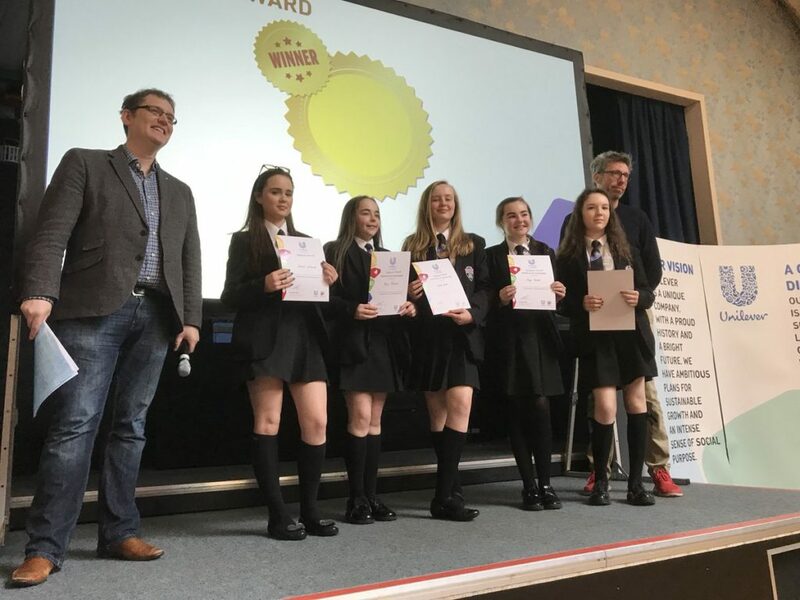 Big Bang North West: Radio Merseyside – Gateacre School’s Big Bang UK Competition WIN! Well done to Freya Barnes, Emily Cook, Hollie Gilchrist & Ellen Ramage-Jones from Gateacre School. After winning the Junior Science, Big Bang UK Young Scientists & Engineers Award they were invited by Radio Merseyside to be interviewed about their amazing achievements. We are so proud of these young ladies, their inspirational journey, innovation and ideas! Initially, Gateacre School designed and developed their environmentally friendly products while taking part in the Unilever & All About STEM Bright Future Programme. At the event’s Celebration Day, their comprehensive research & ‘Naturally Infused’ cupcake soap won them the Technical Award. 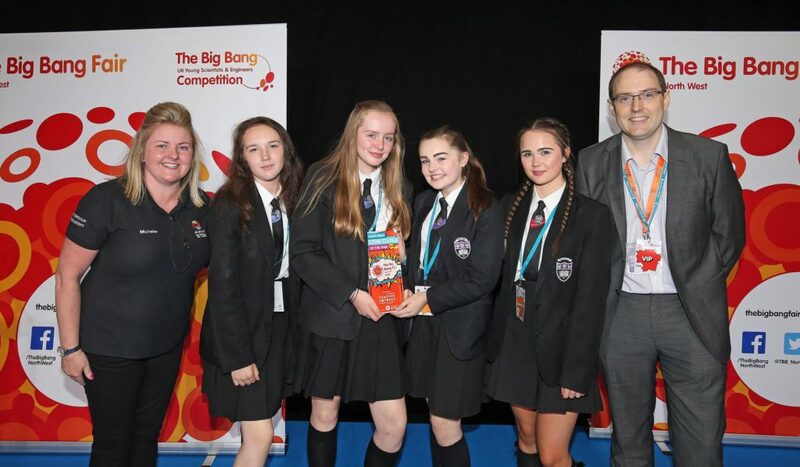 Following the programme all schools are encouraged to complete CREST Awards & enter their projects in The Big Bang UK Competition at The Big Bang North West. The girls were enthused by this & expanded their range to take part. At The Big Bang North West, the judges were wowed by Gateacre’s creative designs & planet-conscious packaging & recipes – ‘no plastics’ & ‘no palm oil’. They won Big Bang North West: STEM Club of the Year, sponsored by Shaping Futures along with a place in the National Finals at The Big Bang Fair. 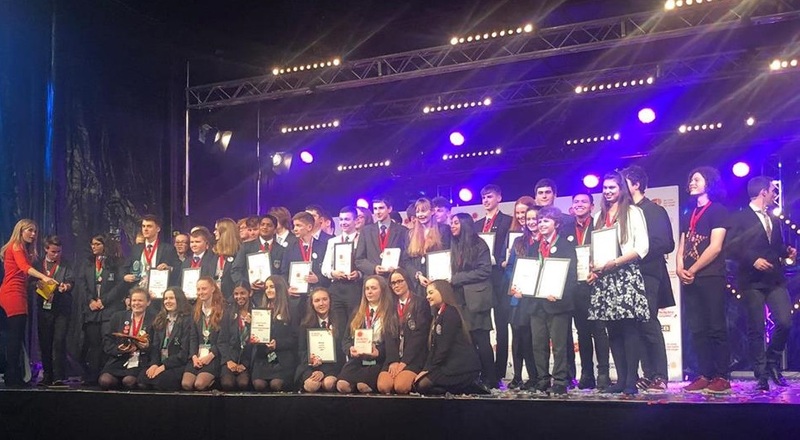 With a STEMsational exhibit in Birmingham, they brought the Junior Science title home to the north west & we were overjoyed and honoured to cheer them on and celebrate their phenomenal success! If you missed the girl’s LIVE radio segment, we’ve transcribed it below. Read on and learn more about their story, the health benefits of their products & their exciting plans for the future. Go girls! Radio Merseyside: The Big Bang UK Young Scientists & Engineers Competition, Junior Science Award. It’s a big award this & a big competition too, it rewards children’s achievements in Science, Technology, Engineering & Maths. Gateacre School: Yes. We made a range of bath & skincare products that was not only kind to the skin but kind to the environment… because we wanted to help the environment, reduce plastic, and we have no palm oil in our soaps. We also wanted to encourage young girls into STEM. Radio Merseyside: Which is a field dominated by men at the moment and has been for years. Gateacre School: Yes, but with us coming in, we want to spread the word that girls can do it too and we can win as much as the boys can. Radio Merseyside: Absolutely, I think you’ve proven that, so tell me more about the Naturally Infused range. 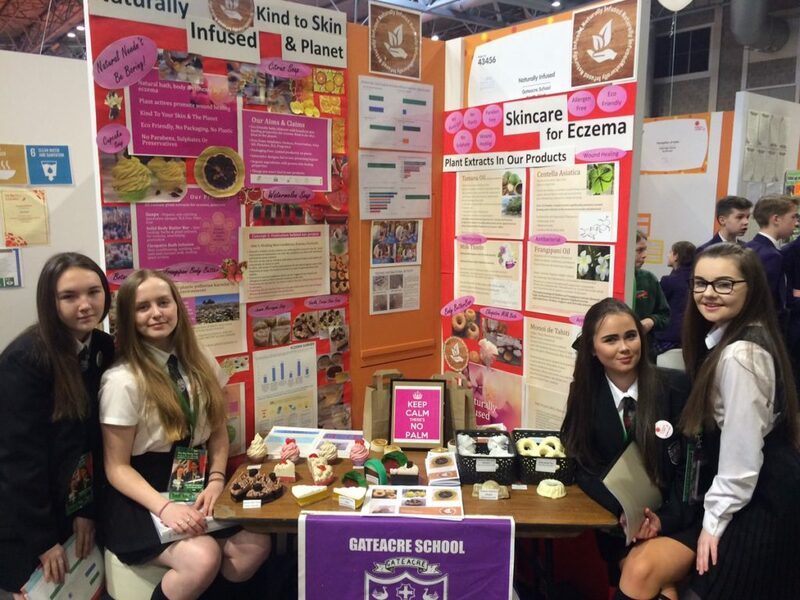 Gateacre School: We’ve done some creative designs with our soaps and also some that target areas like Eczema & Psoriasis. So they can help children who are suffering from those skin conditions and have healing benefits. Radio Merseyside: So once you got the idea, how did the project go? Gateacre School: It went really well, it was a case of doing a lot of research and trial and error with the soaps. We’ve made a big range and then narrowed it down to those that were more beneficial than others and those we prefered ourselves. We tried different designs and when we’ve been to other competitions we’ve asked others what they would like to see and if they liked the scent & design and we took those ideas into consideration. Radio Merseyside: So how did the competition process go because you’ve been through to the final at Birmingham but you went through a regional final first? 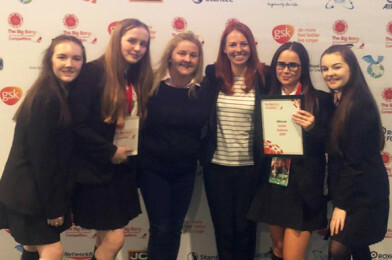 Gateacre School: Yes, we started the project at Unilever (Bright Future) where we presented our products, which then was a cupcake soap and we won the Technical Award. The we went to the Big Bang North West & won STEM Club of the Year and also got a place in the finals. Radio Merseyside: Is there a competitive edge here in the team? Are you all scientifically minded? Gateacre School: We were all in the same science class and we all really, really enjoy science. Some of us did think parts were boring but from the things we’ve done here, there are really fun parts to science. Radio Merseyside: And what was it like when you were told that you’d won? Gateacre School: We were all so shocked, we really didn’t think that was one we could win… we cried. When they said our name, we couldn’t believe it at all. It was amazing! Radio Merseyside: Has this encouraged all of you to persue or continue your interest in science and do you think it might inspire some of your mates? Gateacre School: (Laughs) Yes, we’ve been asked to go into schools across the UK and tell them all about our products. Radio Merseyside: And how you can inspire more people and especially more young women to follow you! Gateacre School: Yes, we really want to inspire people who shy away from science because they think it’s boring because it isn’t, with science you can be inventive & creative in your own way. Radio Merseyside: You should be very proud of yourself ladies! Absolutely! An amazing interview (and so professional too). 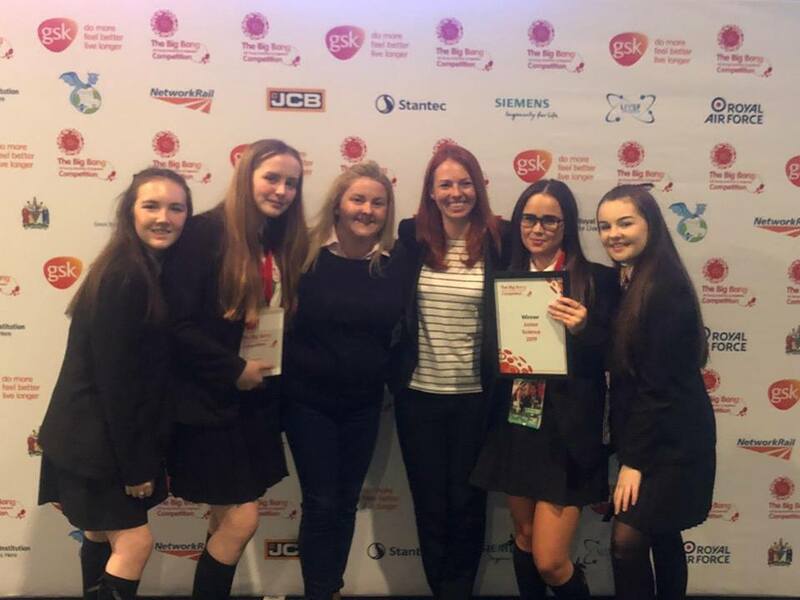 Congratulations Gateacre School from Team All About STEM & The Big Bang North West, we can’t wait to hear what happens next! Follow in Gateacre School’s footsteps & start your own STEM Club!